Online portal Onlyssd, a brand of Prime ABGB National distributor, will be selling the M5 Pro series SSDs from Plextor. The website is a premium SSD portal designed to give offer online buying experience, with complete specifications of the SSDs to compare. The portal has both consumer and enterprise range of SSDs. Customers get full access to have a look at the complete technical specification details of all the SSDs from 12 different premium brands. 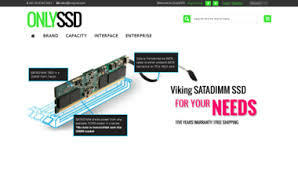 Customers can choose, compare and purchase their choice of SSDs in a single portal. The M5 Pro Xtreme has won 13 awards in the last three months of the year, bringing the grand total for the SSD to 86.